The first reading today dwells on the domestic strife between Abraham and his nephew, Lot. When Abraham’s father, Terah, died, he left Haran for Canaan, and pitched his tent in Bethel where he built an altar to Yahweh. For Abraham, Bethel was the ‘house of God.’ But he had to leave Bethel because of a famine, and traveled to Egypt. After some time, Abraham returned to Bethel from Egypt with his wife, Sarah, and all his possessions and family — including Lot’s— thinking that things will be finally settled. However, Genesis 13 tells us that a quarrel ensued between the herdsmen of Abraham and Lot which led to a separation. Domestic strife is not new to many of us. There are quarrels within our families. God’s holiest people were not even spared. Jacob would have preferred a problem not within his family as that of Joseph and his brothers. Or, David and his sons as Michael, Amnon and Absalom. Or Jesus and his family who thought that He was out of his mind. And just as God’s chosen people would have preferred to be spared from conflict, we find ourselves to be like them. You see, quarrels and strife within our families and church are not easy to bear because we are too involved in it. These type of conflict is more painful than conflict between two political parties we are not emotionally involved with. We would prefer trouble anywhere than our homes. But conflicts allow us to ask what values are worth keeping. The importance of our families is highlighted by the decisions we make when this value is threatened. Here, we see how Abraham finds his family more important than his pride. Lot is Abraham’s nephew. Lot owes a lot of things from Abraham who gave him protection. But to preserve the importance of family and friendship, Abraham took the initiative and yielded to Lot. He allowed Lot to make his choice. If Lot chose the land to his right, he would go the left; if Lot chose the left, he would go the right. Lot eventually chose the rich and fertile Jordan Plain. Abraham’s conflict management was conciliatory. He has to give way to preserve what was more valuable to him, the preservation of his family. The Gospel tells us that what is valuable and sacred to us should not be thrown to swine. Here, Abraham gave as an example how to keep our family intact and whole. This method, I believe, can also be applied to our life as God’s family. 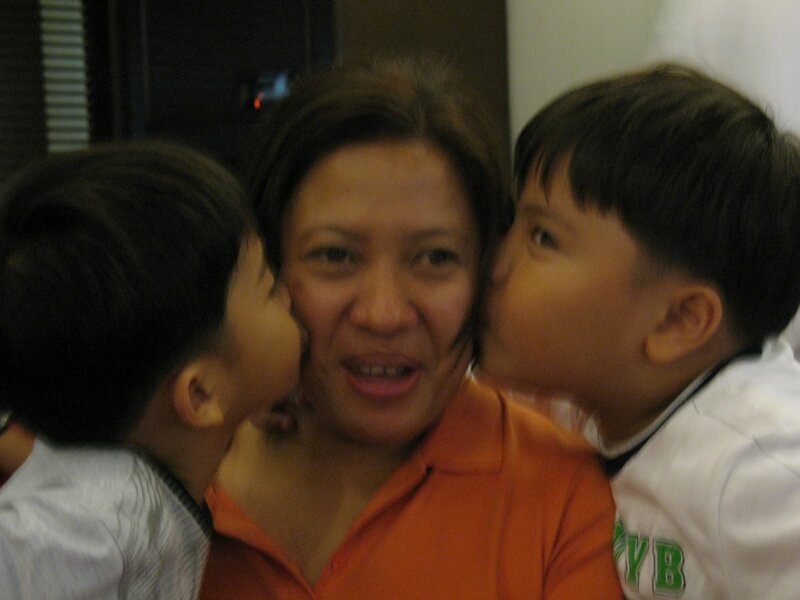 *Joshua and James, my two makulit nephews and my sister, Jesselu.